Information obtained from both the Wi-Fi Alliance and TENAA leads us to believe that Huawei’s Honor could be working on bringing the successor to last year’s entry-level Honor 7A to the market. Now, the firm has released an image teaser via its microblogging platform Weibo page that confirms it would be holding a product launch on January 8 in China. 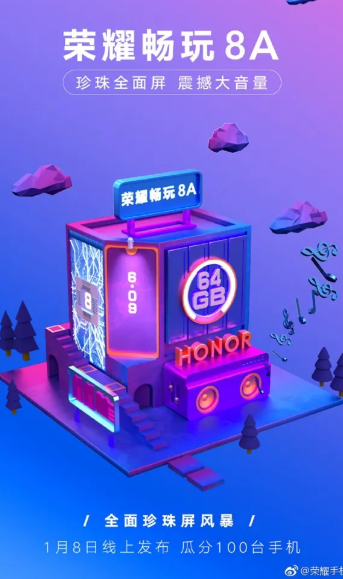 The teaser says it all – the Honor 8A will be the highlight of the event, and while it hasn’t released any definite info on what the device might bring to bear, we were, however, able to glean a couple of basic details from the image. A careful look at the teaser image seen below reveals that the said Honor 8A will come fitted with a 6.09-inch display having a waterdrop notch, while it would house an 8 core processor that is likely to be the Kirin 710 SoC. The image gives no hint on the RAM size but did reveal it will come with 64GB storage. Furthermore, there is the likely hood that the device similar to the Honor 7A will have a knack for impressive audio performance as is indicative of the dual speakers seen in the poster. 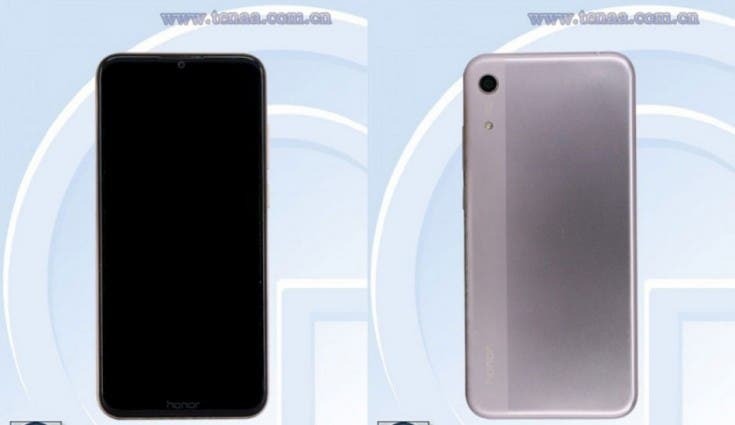 Honor didn’t provide more clue on what is expected of the Honor 8A, though we already know more than what the firm has divulged today, all thanks to TENAA.